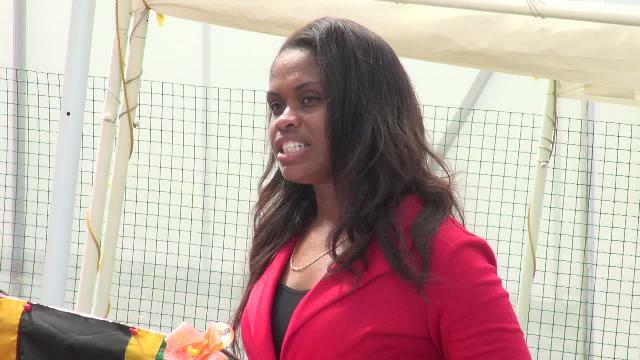 NIA CHARLESTOWN NEVIS (OCTOBER 10, 2016) — Principal of the Charlestown Primary School (CPS) Latoya Jeffers says the recent gift of a shade house to the school, from the government and people of New Zealand, continues to generate interest among students who are showing a willingness to care for the vegetables planted there for use at the school’s cafeteria. Ms. Jeffers made the comment when she spoke to the Department of Information on October 10, 2016. 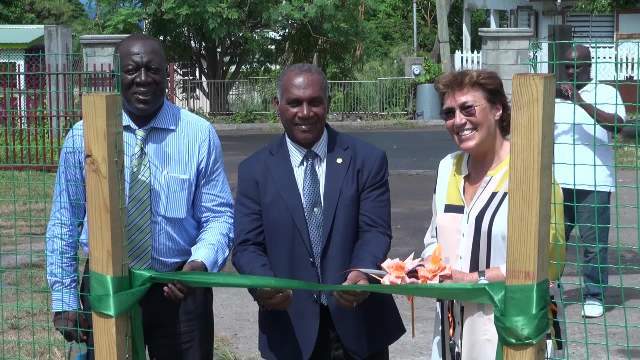 In late September, the shade house was handed over to Premier of Nevis and Minister of Education Hon. Vance Amory, by New Zealand’s High Commissioner to St. Kitts and Nevis Her Excellency Jan Henderson. 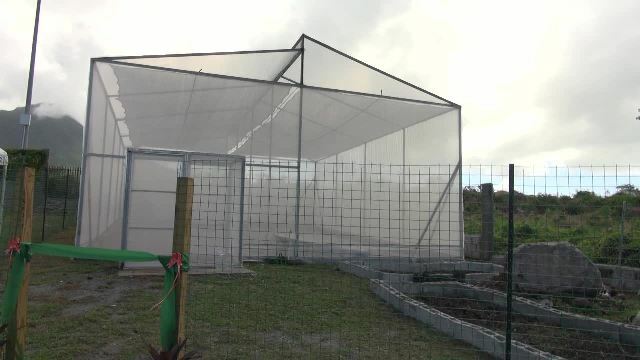 “I am very proud of the shade house and the plants we already have in it. Currently, we have tomatoes, sweet peppers and thyme. The students are quite excited about the shade house and willingly care for the plants. “This shade house will be of great assistance to the cafeteria because it will help with the cost of vegetables. The children will also benefit, in that, they will be learning about agriculture,” she said. The gift materialised through the efforts of Augustine Merchant, Coordinator of the Inter-American Institute for Cooperation on Agriculture (IICA) office in St. Kitts and Nevis and the St. Kitts Nevis Agricultural Youth Forum. At the handing over, Merchant said IICA sees agriculture in the school as a priority area and that it serves as a powerful tool to improve the quality of nutrition and education of the children. “This could be done through the integration of a national agricultural nutrition and education programme which we are hoping to do in the school here. This shade house is expected to provide a safe place for the students to grow some of the food they would eat. “In addition to that it would increase their knowledge of the farming industry, develop a love for agriculture and help prepare the next generation of farmers,” he said. Meantime, the New Zealand High Commissioner said when she was presented with the project for the shade house, she saw it as a community project with which New Zealand has interest in becoming engaged because her island is passionate about agriculture, which is seen as a high status occupation. “I don’t see it just in terms of growing vegetables. My interest in supporting this is very much about bringing a new generation of children into caring about what they grow and eat, understanding nutrition and seeing it as something that they can make a career out of,” she said. Premier Amory thanked the High Commissioner and Mr. Merchant for bringing the shade house to Nevis. He said he sees agriculture as a worthwhile occupation and business. He also expressed hope that the activities at the shade house would propel some students to become professionals in the various sectors of agriculture.